We wish to inform you that our office will close on Monday, 4th July and will resume on the following Monday, 11th July 2016. May you all have a Happy and Peaceful EID with your loved ones. 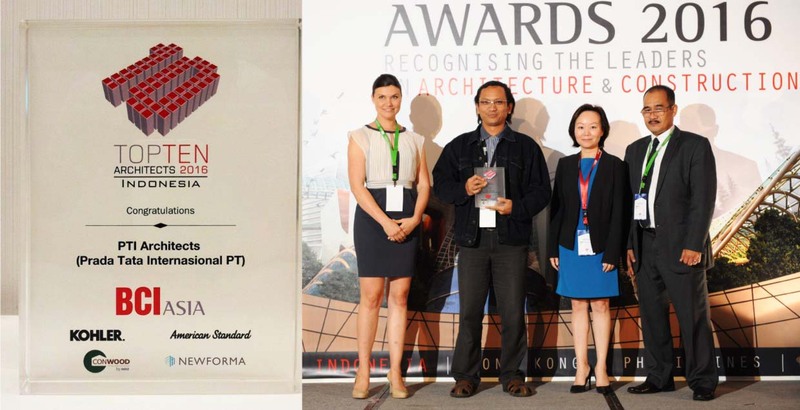 It is with honor and pride that PTI Architects accepts the recognition as among the Top Ten Architects in Indonesia for the 12th consecutive year. Gracing the event held at the Fairmont Hotel Senayan on the 24th of May 2016 is one of PTI's Associates, Mr. Yani Cahayadi. He received the award from Mr. Agus Dinar, Country Manager of BCI Asia Indonesia and Ms. Anna Krups, BCI Media Group. Such a recognition serves as a beacon for PTI Architects' commitment in delivering projects of aesthetic value, commercial viability and environmental sustainability to its stakeholders and the society at large. 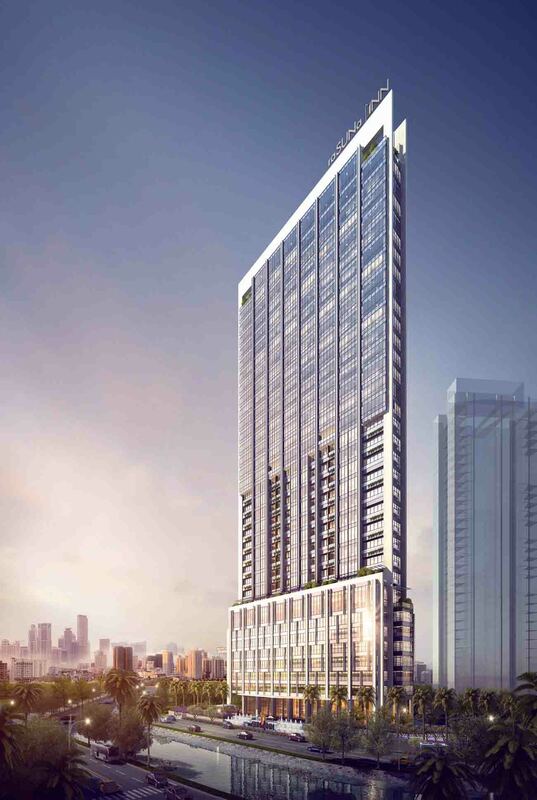 PTI Architects have recently been commissioned by PT Sukanda Mulya, one of our experienced existing clients to undertake the design of their new Rasuna Inn and Office, a 157m tall luxury, fully serviced Suite Hotel and Commercial Office Tower conveniently located within the Rasuna / Kuningan area with great access to the surrounding city. 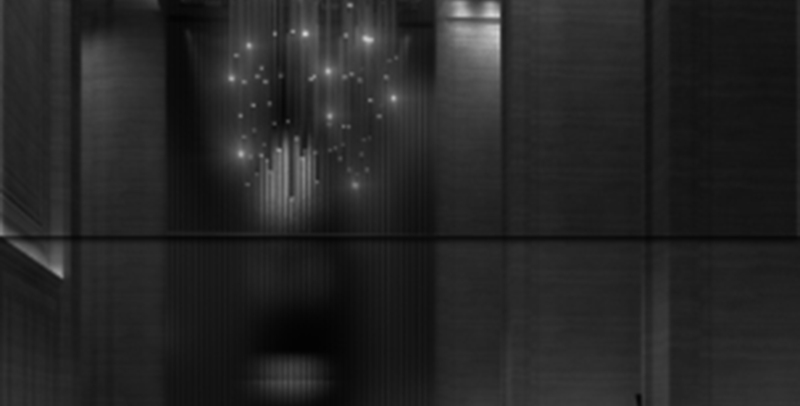 The 16-storey Adimulia Hotel Medan is an upscale hotel with 260 well-designed rooms with luxuriously decorated grand lobby, ballrooms, function rooms, F&B outlets and other hotel facilities. 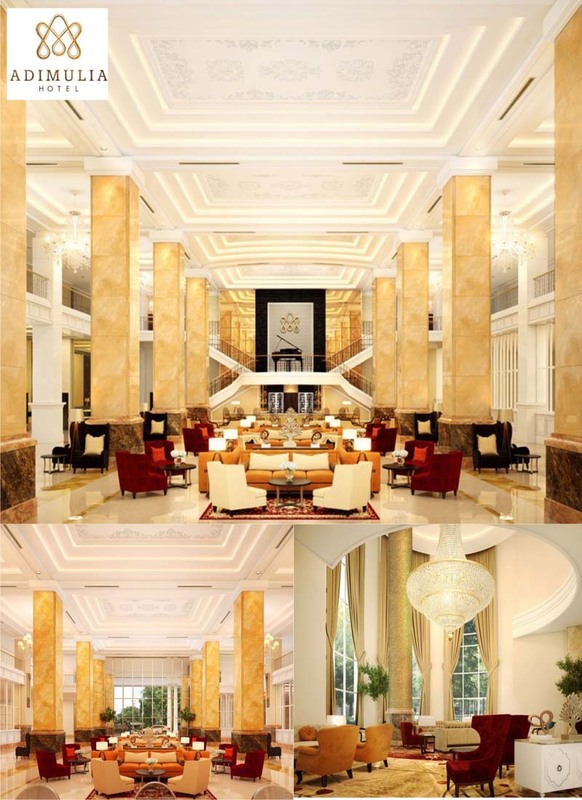 Designed by PTI Architects' Interior Design Group, classical and oriental lines enriched by luxurious materials and finishes of bold and opulent hues of gold, red and brown characterized the interiors throughout the hotel- from the grand lobby and lounge to the ballrooms and guest rooms. 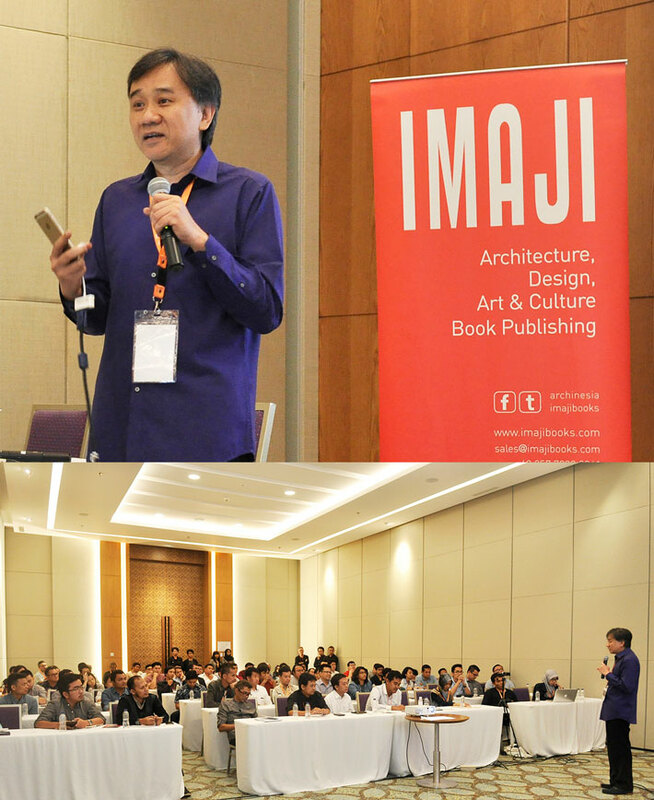 ARCHINESIA, an architectural publication encompassing Asia and based in Indonesia sponsored a short-course last month through ARCHINESIA Academy on "Starting an Architecture Firm". Among the distinguished speakers, Mr. Doddy Tjahjadi, PTI's Managing Director shared his extensive experience in setting-up his firm some 20 years ago. Known in the industry for his innate and keen business and management acumen, he has positioned PTI Architects consistently among the Top Ten Architecture Firms in Indonesia since the inception of BCI's awarding process. He has successfully steered the company through a series of economic downturns and remained steadfast in its mission to continue to provide ingenious ways in improving the architectural landscape in the country, one that is recognizable in the Region and the international arena. 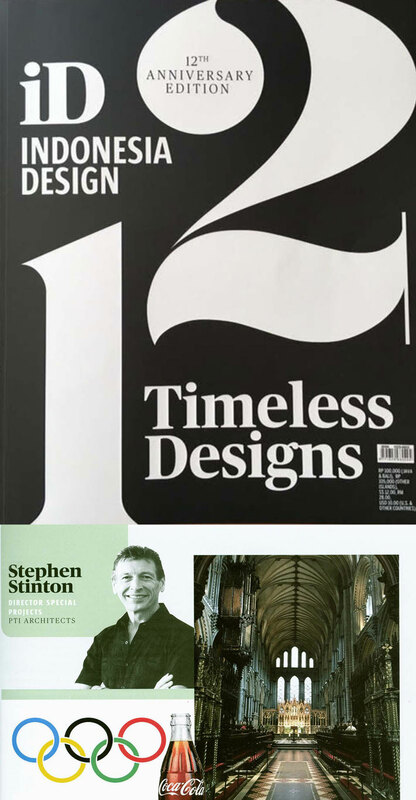 ID Indonesian Design Magazine's 12th anniversary special edition features our Mr. Stephen Stinton, PTI Architect's Director for Special Projects. In a short article on "timeless design", Steve revealed his personal definition and interpretation according to his experience and in his present capacity in delivering iconic projects, contributing to Indonesia's architectural landscape.